Ever since the dawn of the internet, developers have been fighting with complexity and related bugs of cascading style sheets. There has been many proposed methodologies and solutions to organize and write maintainable CSS (OOCSS, ACSS, BEM, SMACSS), but they almost always are hard to manage and do not scale well without rigorous supervision. I personally have written LucidCSS, a Sass-enabled CSS methodology that I swore by for the longest time. Similar to how Facebook "solved" the majority of those listed problems with hacks and workarounds, my Gulp workflow implementing LucidCSS also "solved" most of the problems. 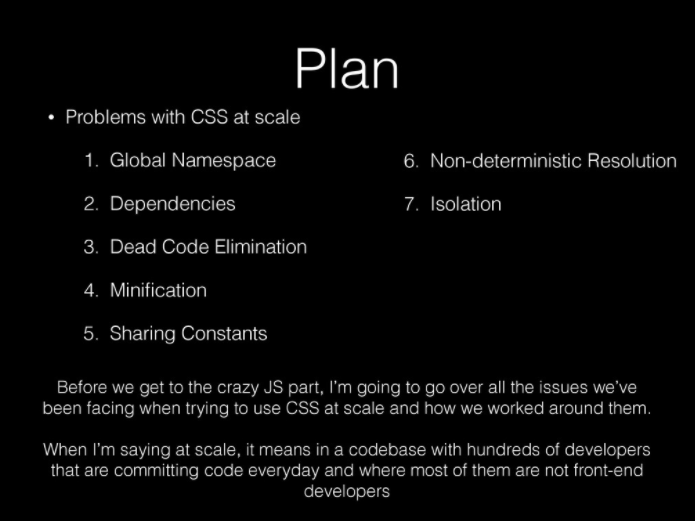 Because of this, I've always stayed with regular CSS as it allowed me to easily integrate Sass and PostCSS. However, this was all in the past before I discovered styled-components. One thing that immediately drew me towards styled-components is that their core philosophy aligns with my own philosophy: a singular "class" per element. This is something that I also strongly emphasize in LucidCSS. I am heavily against Bootstrap style utility classes where it is common to have six or seven classes strung onto a single element. However, styled-component goes one step farther and actually just removes the class attribute entirely and instead directly names elements. Although it seems like a small change, it vastly improves the semantics and readability of your code, and reinforces good practices. Another great feature of styled-components is that the CSS you write using it in the named template literal is completely identical to regular CSS. This means that you do not need to learn a new API or syntax, and that a new team member can pick it up instantly. In addition, many Sass features are automatically enabled. Similar to Sass mixins, this modular approach allows me to rapidly style new components. styled-components has been great for me, and I think it could be really useful for a lot of other teams as well. If you were like me and was hesitant to dive into CSS-In-JS, I strongly recommend you to just give styled-components a try.